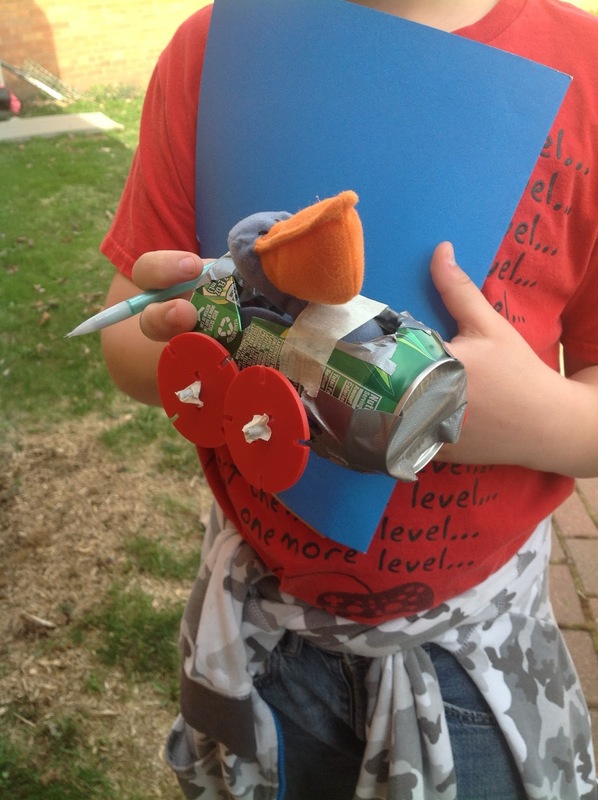 For several years, I have been using a Cardboard Arcade Pack that I simply love because it helps fill the weeks in with great activities that help students understand the FOSS Levers and Pulleys Unit better. This year, our fifth graders are a little more squirrely so I wanted to give them opportunities to build and create by adding some STEM lessons to the pack. The 5th graders have absolutely loved being able to build and create and then apply it to what we are learning in our FOSS pack about levers and pulley...but so much more we build on what we have already done. Our variables lessons at the end the year go perfectly with building a vehicle using wheels and axles and testing the variable of height to see how far the vehicle will travel! Learning the six simple machines and combining it with STEM opportunities is also helpful. I presented the students with a challenge to help them better understand how a simple machine will help make their job easier. 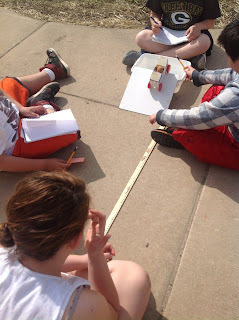 Last week, I wrote about creating pulleys, now we are adding inclined planes and wheel and axle to our learning. Again, we use the scientific process to build. Testing our wheel and axles on an inclined plane! 1. I first pose the question, "What simple machine can you build that will help a Beanie Baby get down an inclined hill?" "Will you push or pull it?" "How can we test how different heights of an inclined plane change how far the vehicle will go?" 2. I allow for them to predict and plan what they would build on their own. Then, I let each person share out. 3. Each team picks an idea to use and they create a materials list. Once that list is made, one person gets all of the supplies. 4. They get time to build their vehicle. If time remains, they can soup it up. 5. The next time we meet, (I only get an hour with them each week) I present the experiment using the variable of height. This is our first FOSS unit of the year, so we are revisiting what we already learned about controls and variables! 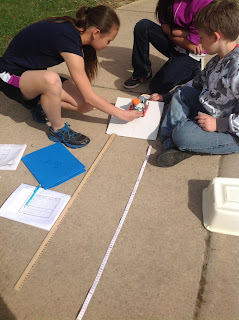 I show them how to set up the experiment and then we go outside to set it up as a team. Proud of their finished product and the fun they had! Once again, finding ways to make your science classroom more hands on and exciting will help your students weather the storm of the end of the year wiggles. STEM is one way to do that!